Gracias, Alvaro, for your kind words. We hope to see you again. It's a really nice place that is about .25 miles to .5 mile walk from the center of tamarindo (nightlife, restaurants & beach). The pictures are accurate, except I was a little surprised by the size of the pool. Don't get me wrong it's still really cool, but if you're from the states you've probably never seen a pool like it haha. If you want everything in your backyard then you should stay somewhere else, but if you prefer it be a little more secluded & quiet, but still very close to everything then this is the place for you! Great house in a perfect location at the better end of town and 2 minutes from the beach. Great choice of restaurants near by to watch the sunset. Thank you so much, Nick, for taking the time to write these kind words. We really appreciate it. Pura Vida! A great spot to enjoy tamarindo! Quiet but close to everything. Dipping pool was great after a day at the beach. Never needed a car. Hosts are very friendly and responsive. Thank you, Lorna for your kind words. 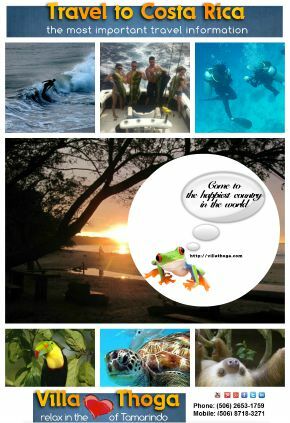 Hope to see you again here in Tamarindo. Great, comfortable stay. 5 minute walk to the beach and town.